BIRTHDAY PAR-TAY!!! : Backstage with Lemmy on my 35th birthday in Austin, Texas. FROM SHOWER TO SOUNDCHECK: A chance afternoon meeting with Lemmy outside the Back Room in Austin. Armed with a Rickenbacker, Jack and smokes, Lemmy blasted through life louder than everyone else. He was defiant, smart and witty enough to crack up a statue. Lemmy was my Keith Richards. News of his death last night was not surprising, but that didn’t make it any less saddening. The lovable outlaw was as well-known for his vices as for his punishing Motorhead music. Let’s face it: In Motorhead years, 70 was probably 250. As someone who’s interviewed countless rock stars, I always get asked to name my favorite. Lemmy always tops the list for his raw humor and sheer quotability. A personal favorite of mine was his response to my question about being the quintessential underdog. “I’ve seen what too much money does to people. You get six houses in the country and a yacht, and spend the rest of your life worrying about it all.” That quote comes back to me time and again when I feel life should have more to offer. 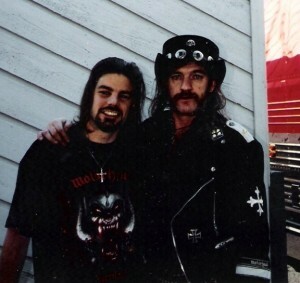 The first time Lemmy called me was in 1997. In an age before cell phones, I spent the assigned interview day hovering over my living room land line waiting for it to ring. I waited. And waited. And then? I waited some more. Four hours later, he finally called. He offered some excuse and tried to apologize, but I wouldn’t hear it. I was finally talking to God and that’s all that mattered. 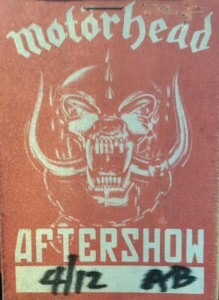 AFTERSHOCK My 35th birthday Motorhead pass. 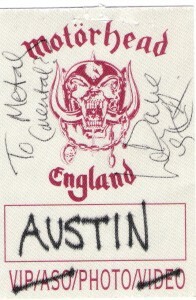 A few years later, Motorhead arrived at the Back Room in Austin. It was a Saturday night gig. Perfect in every way. 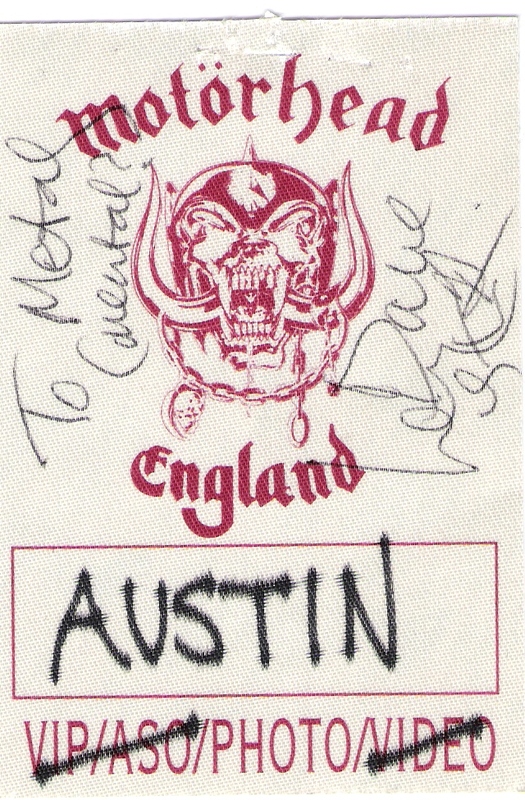 Before the night was over, I was backstage drinking Motorhead’s beer while collecting autographs and taking photos with Lemmy. It was also my 35th birthday. Not bad. There was another time I spotted Motorhead’s tour bus in the Back Room parking lot on my way home from work. My apartment was nearby so I raced home to collect some memorabilia, took a quick shower and returned to the venue in hopes of saying hello at sound check. I was still dripping wet and barely out of my car when Lemmy popped out of the venue with his usual Jack and Coke in hand. It was so potent, the smell nearly knocked me down. The sun was still out. It was classic Lemmy. There was another Back Room gig (or was it the same night?) when I got to stay behind after security cleared the venue and sit at the bar with Lemmy while he played video trivia games. I remember being impressed with his masterful knowledge of American history (he’s a Brit, ya know?). I don’t know what else to say except, “thank you, Lemmy” for your music, hospitality and brilliant way with words (both lyrically and in conversation). You were — and always will be — the baddest, most lovable, hardest-living, dedicated-beyond-question, rock-n-roller to ever ravage our collective hearing. You were Motorhead. And you played rock-n-roll! 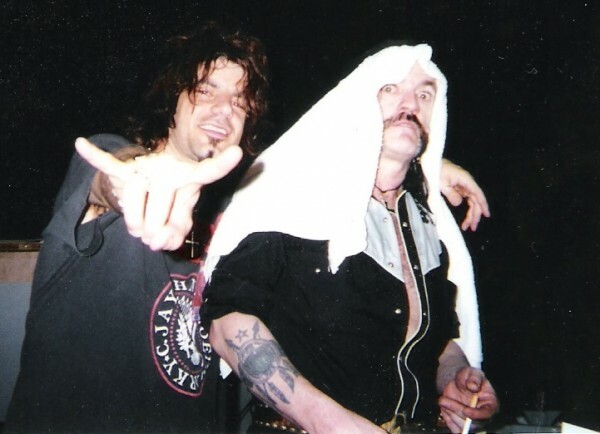 For more of my interviews with Lemmy, go here and here. Great thoughts there Dave on Mr Rock ‘n’ Roll himself.. I remember you playing me that 1997 interview!! I was on the floor in your living room!! We need to play Motohead VERY LOUD TODAY!! !